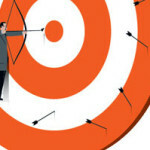 It is an exciting day for anyone who is involved in delivering interactive online learning. 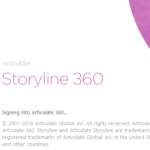 Articulate has officially launched Storyline 2. For a quick summary of what’s new, click here. In the meantime, if you are looking for a free upgrade from Storyline 1 to Storyline 2, you are out of luck. You are required to purchase a new licence. A bit of a bummer! You may want to read our full review of Articulate Storyline 2 on our blog in the coming days before deciding whether the new features are indeed useful for what you are looking to deliver.